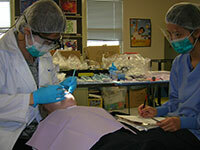 barriers of accessing dental care." Commonwealth Mobile Oral Health Services (CMOHS) would like to welcome you to our website! We may be the right solution for the oral health needs of your community program or organization. 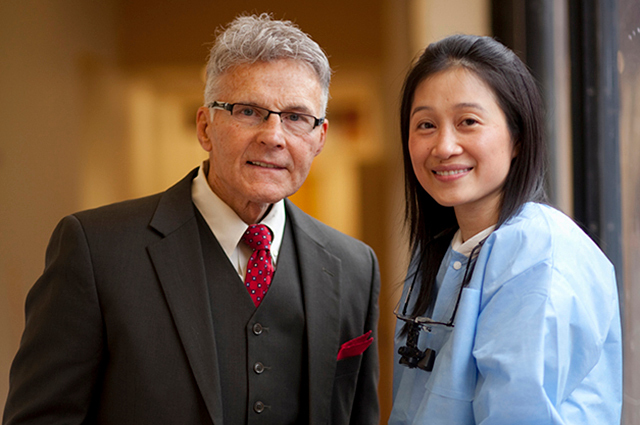 CMOHS is an award winning portable dental program with over 35 years of experience in Massachusetts. Currently we serve over 250 sites in more than 75 communities statewide. CMOHS is at the forefront of meeting the needs of the underserved, especially children from lower-income families and children of racial and ethnic minority. Children who are free from pain and infection show improvement in their classroom studies and test scores thus advancing their ability to excel in school. We use the “Tell, Show, Do” model to introduce children to dental care gently. Our approach stresses disease prevention and management through behavior management and emphasizes community education and communication. Our commitment to quality care and our passion for improving the oral health of our community sets us apart from other programs. The Commonwealth Mobile Oral Health Service (CMOHS) team consists of a group of committed dentists, dental assistants and staff members who promote excellence in oral health by providing dental services to patients in non-traditional settings. The staff is highly trained, comprised of a diverse group of health care providers and has a mission of improving the oral health of the underserved. Commonwealth Mobile Oral Health Services providers have more than 150 years combined experience, and have been the premiere provider of portable oral health care to underserved populations in Massachusetts for decades. Since 1979, more than 3 million oral health services have been provided by our dental health professionals across the state of Massachusetts. Our commitment to quality and our passion for improving the oral health of our community has set us apart from other programs. Our teams are highly trained and offer high-quality, effective care in a comfortable and familiar environment. We offer full case management and a referral network to local dentists for follow up treatment.